PASS Tools is a revolutionary software-as-a-service (SaaS) that streamlines and simplifies UST/AST facility management and compliance. Our software includes a robust set of inspection, management, and reporting tools which gives companies the power to manage all of their data, anytime, anywhere. Don’t have the resources to stay on top of inspection and compliance requirements? Traditional compliance management puts the responsibility of information collection at top level. We take a different approach, using boots on the ground to collect information at its source, providing the most accurate data possible. PASS Tools is cloud-based, making it accessible from anywhere in the world. It’s also mobile-friendly, meaning it works just as well on your mobile phone or tablet as it does on your desktop computer. PASS Tools is designed to collect as much data about your facilities as possible. PASS Tools can store equipment inventories, equipment and inspection photos, facility and equipment-specific inspection questions, and compliance documents. Our software auto-magically knows what questions to ask simply by knowing where you are, making sure all required federal, state, and local information is collected. Our inspections are built using industry standards including PEI’s RP-500 & RP-900 and STI’s SP-001. It’s also built on a flexible platform, meaning it can quickly respond to the ever-changing landscape of compliance regulations. Other solutions focus on document management and simple data recording. At PASS, we focus on creating tools that make it easy for our customers to stay proactive about their compliance issues. 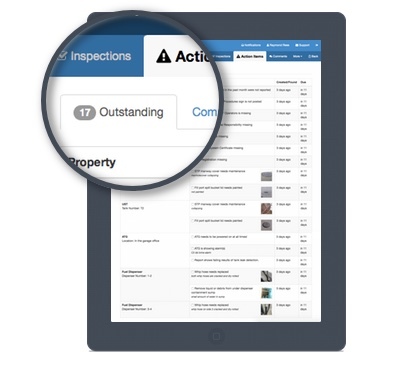 The PASS inspection process automatically generates action items based on the results that are collected. Progress is easily trackable, allowing you to be proactive opposed to reactive in terms of maintenance and repair. 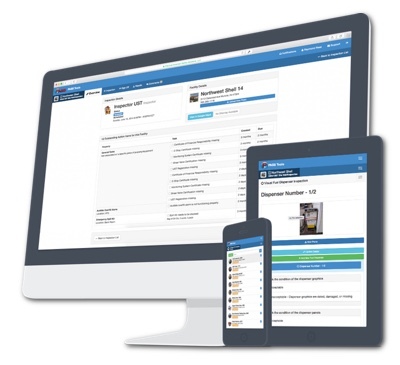 Operations & maintenance plans, state-specific compliance forms, emergency procedures placards, and designated operator lists are just a few of the documents that PASS Tools automatically generates for your facilities. We’ve all been there. Notices of Violation are part of owning and operating a regulated facility. Many times the hardest part isn’t fixing the issue but tracking the actions taken and making sure the issue is resolved by the deadline. 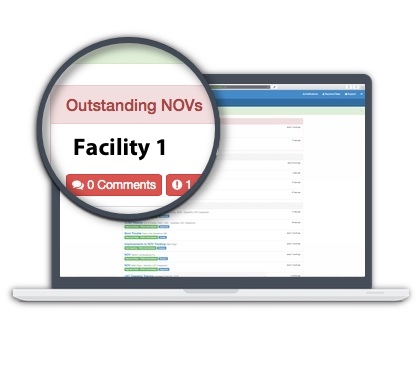 PASS Tools’ NOV Tracker allows customers to comment, track, and resolve NOVs. Communication is a vital part of any successful business, but keeping track of numerous facilities, employees, and inspectors can be a daunting task. PASS Tools provides a number of ways to ensure that everyone stays in the loop. 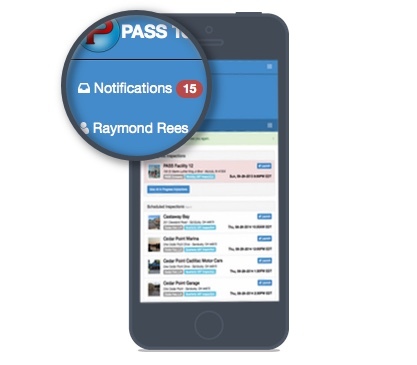 PASS Tools automatically delivers notifications regarding compliance issues. Notification types include NOV tracking, inspection progress, paperwork and testing expiration, as well as user-to-user messaging. Notification preferences are also completely customizable and user-specific. Acknowledging that everyone has a different part to play in managing compliance, PASS Tools offers a number of user roles that help ensure the proper information and tools are put in front of the correct people. Roles include Company Admins, Facility Managers, Inspectors, and Inspector Managers. You can stay on top of compliance tasks by using action item lists, due dates, and notifications to figure out what’s important, what’s next, and what’s falling behind. PASS Tools puts all of your compliance data in one place, making it easy to prioritize and analyze information, responsibilities, and action.